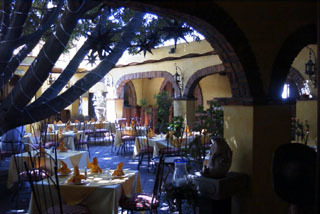 Outside of Guadalajara is a small town called Tlaquepaque. It is known far and wide as an artisans' twon where typical handicrafts are made. There are small workshops & Huichol museum, along with street vendors. Unfortunately, many of the items for sale are mass-produced, not in factories, but by people who are working from patterns. 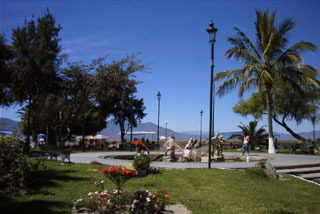 Outside of Guadalajara is the largest inland lake in all Mexico, Chapala. 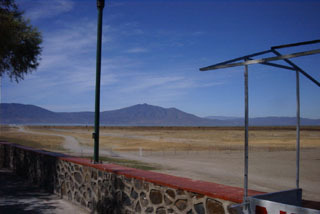 Much of the water supply for the city of Guadalajara comes from this lake. It is ca. 53 miles long & 18 miles wide. Tragically, it is shrinking fast. 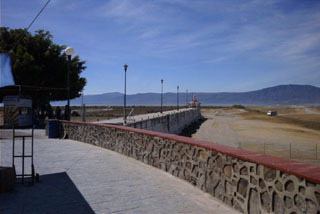 The town is/was quite a toruist stop with many American retirees building houses in Chapala & the nearby suburb of Ajijica. 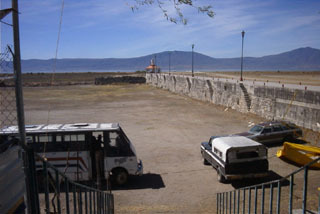 The seawall in the distance used to hold the water back. Now it is a broad plain where buses & cars run. 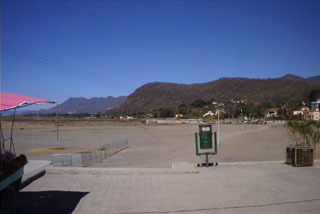 The town is dying as the lake dries up. Vendors sell old photos of how the lake used to look.